This fall, you and your family are invited to visit Disneyland Resort for the return of special seasonal experiences in both parks inspired by the spirit of Día de los Muertos. 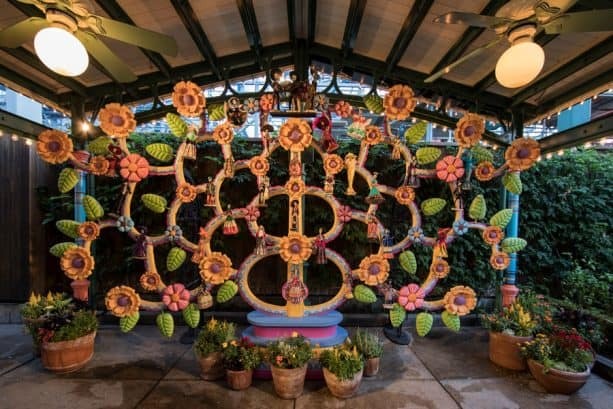 At Disney California Adventure park, Disney•Pixar’s Academy Award-winning hit film “Coco” is at the heart of Plaza de la Familia, a limited-time festivity at Paradise Gardens. Families visiting Plaza de la Familia can share meaningful memories of loved ones at the interactive Memory Wall, enjoy the iconic Mexican Árbol de la Vida (Tree of Life) photo location and take part in a new mask-making craft that depicts an alebrije (spirit guide) from the film “Coco.” You’ll find yourself drawn to the immersive art exhibit The World of “Coco,” the emotional Mariachi music performed on the bandstand and the delicious Mexican food menu at Paradise Gardens Grill. While at Disney California Adventure park, be sure to also visit Cars Land, where an ofrenda (a remembrance altar) pays tribute to Doc Hudson (aka, the Fabulous Hudson Hornet). Look for it at Ramone’s House of Body Art, just down Route 66! These special experiences inspired by Día de los Muertos begin September 7 at Disneyland Resort and continue through November 2, 2018. Can we put pictures of our familia on the offends? Do you still have available the Mimi ears inspire in coco? My nana would have loved this ! She worked for Disneyland for 25 years and I wish I could be visiting the park during this time to honor her memory there. As a Mexican American, it is really amazing to see Disney embrace an element of our culture and share it with the world. I had a question the Día de Muertos will only be until November 2? I had read somewhere that la plaza de familia will have the COCO theme Día de Muertos until the 5 or 15, can’t remember? Can you let me know, I want to take my familia from Mexico to see this and they won’t arrive until November 12. Nooooo! Why only until November 4th I just booked my trip for New Years Eve weekend! My 6 kids would love to see this! This is amazing!!!! I can’t wait to see A Musical Celebration of Coco in person. What times does this show happen? ¡Hola! Is there a version of this at Disney World in Florida?! Courtney – These experiences are exclusive to Disneyland Resort in California. Between this and the annual re-theme of Haunted Mansion I’m going to have to finally make a trip out to Disneyland. Joshua – I highly recommend it! 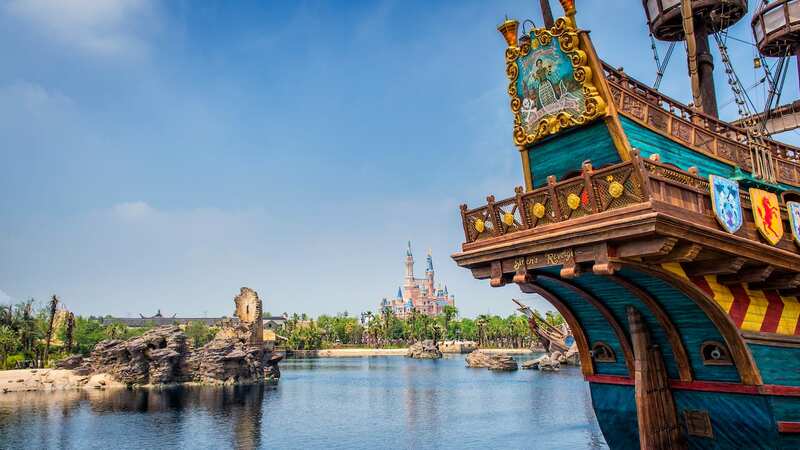 Disneyland is Walt’s original park and filled with charm, unique attractions and incredible seasonal entertainment. We need a dia de Los muertos /Cocco parade. Michael – A new exhibition is now open at the Mexico pavilion at Epcot entitled, “Remember Me! 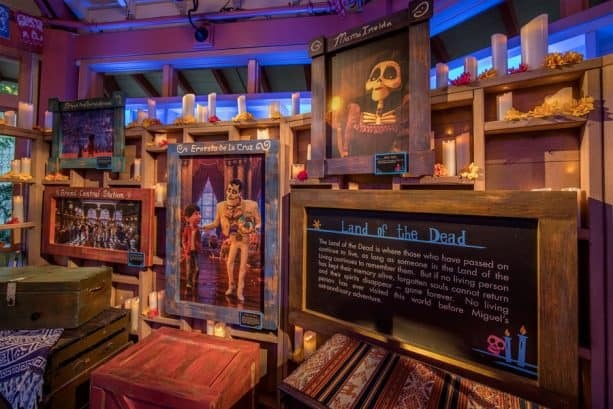 La Celebratión del Día de Muertos,” which features “Coco”-inspired experiences including two magical dioramas depicting scenes from the film and the interactive Mirror de los Muertos which allows you to see yourself as a skeleton in the Land of the Dead.